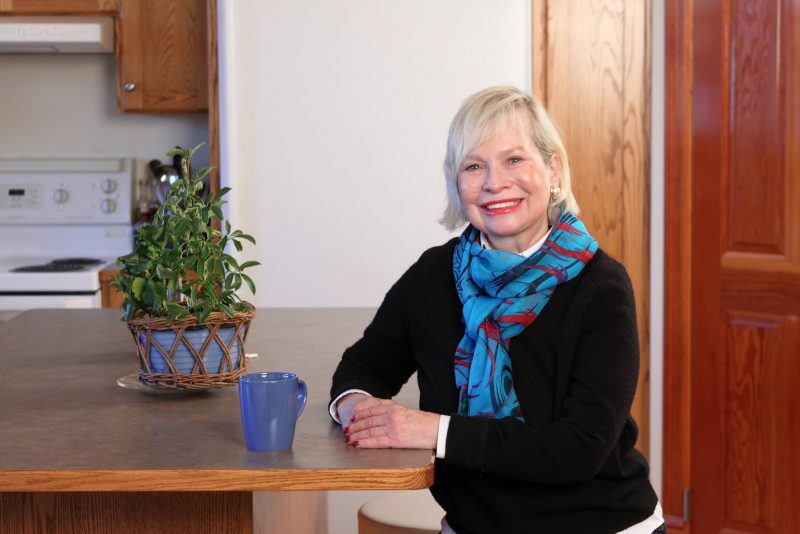 A good meal is one of life’s pleasures, and it’s one Cheryl Gauld will never take for granted. That’s because for more than four decades, the New Westminster resident could hardly eat anything. From her early twenties to her mid-sixties, she struggled to keep down whatever food she managed to swallow. And often, swallowing was itself a challenge. It wasn’t until she met a Royal Columbian Hospital gastroenterologist that she rediscovered the ability to enjoy one of life’s basic needs. Cheryl says it started at age 22, when she underwent surgery to fix a reflux problem. After a stay in hospital of just under two weeks, Cheryl found she had significant problems eating anything other than soft, bland foods. The problem took a frustrating toll on her social life, as she began to avoid eating in public. As the years and decades passed by, Cheryl learned to live with her condition. As she came to terms with her limitations, Cheryl never imagined a solution would arrive during an unrelated medical visit 42 years after first losing the ability to eat normally. After describing her symptoms to a doctor, she was referred to Royal Columbian Hospital gastroenterologist Dr. Ken Atkinson. Dr. Atkinson wondered whether the answer might involve Botox. Most commonly known for its application cosmetically to reduce wrinkles, Botox has a number of other medical uses. The procedure, done under conscious sedation, takes about 10 minutes and involves an injection of Botox. For Cheryl, it was a miracle. Her Botox treatment is not a permanent fix though. The Botox wears off, and Cheryl goes to the hospital for a new injection every three months. But in her mind, that’s a small price to pay.